comfortable euro-rooms in the center of the city in a newly built private house with all amenities. New furniture and quality bed linen. In the room Wi-Fi, satellite TV, refrigerator, electric kettle, tableware, shower, bathroom. Constantly hot water. A house in the center of the city. Description of the room: ONE MISS OF KIMNET with one dvespalnym lizhkom. In kimnaty garyatcha that cold water, Wi-Fi, suutnikovo TV, electric kettle, set of dishes, shower. Toilet rozmіcheny on vulitcі. 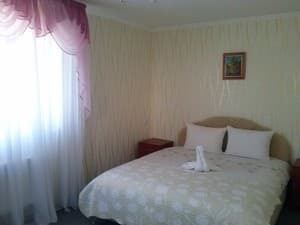 Description of the room: The two-room suite is of the same basic type, one dodatkovym two-bedroom suite. Можлива кількість проживаю-шість осіб. In kimnaty konditsioner, hotycha that cold water, Wi-Fi, suutnikovo TV, refrigerator, electric kettle, set of dishes, shower, sanuzul.